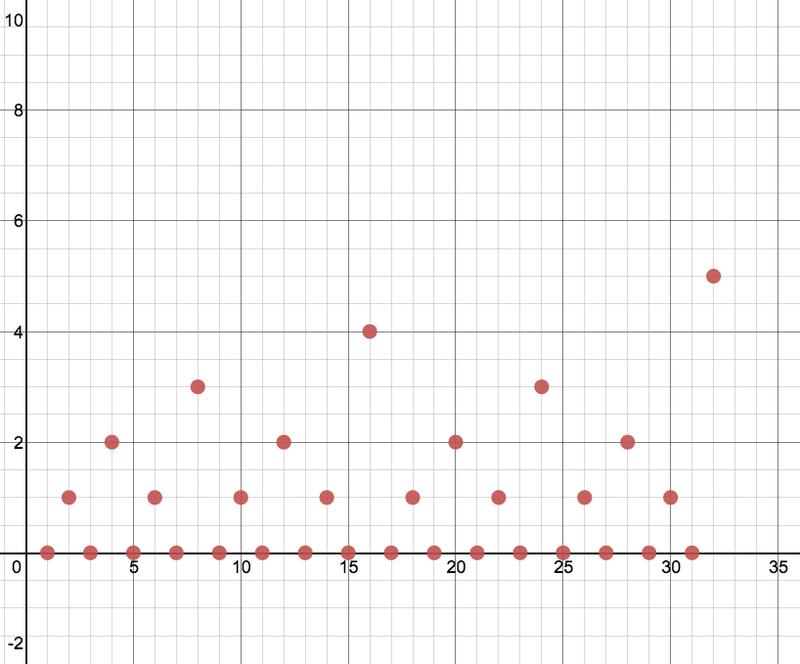 Can you create a graph that passes through the following pattern of dots, using desmos.com or some other graphing tool? If you’re victorious, leave us a note in the comments when you’re done. Here’s a link to the graph for your convenience. I am not victorious. Here’s what I have so far. Not giving up just yet, but it’s on pause. Is there a prettier way to do this?